Kenya Moore received a lot of love from her former Real Housewives of Atlanta co-stars over the weekend. Despite Moore’s exit from the show, Porsha Williams, Cynthia Bailey and Kandi Burruss were all present for her baby shower last Saturday. After photos of the shower hit social media, NeNe Leakes also offered her support and slammed Bravo for firing her because of “messy” contract talks. Moore will not be a part of the upcoming season of RHOA because she could not reach a contract agreement with Bravo. According to OK Magazine, Moore wanted to return to the series, but she demanded too much money and refused to allow cameras inside her personal life. In particular, Moore did not want her new husband, Marc Daly, on the show and refused to film the fertility treatments she received earlier this year. She also did not want to fly to Barcelona for the cast trip, which is another reason Bravo did not want to pay her a large salary. While Bravo and Moore could not reach a contract agreement, insiders say that her co-stars wanted her back in action for Season 11. But they also understand that being a part of a reality show means exposing your personal life to the world, especially the parts you do not want filmed. 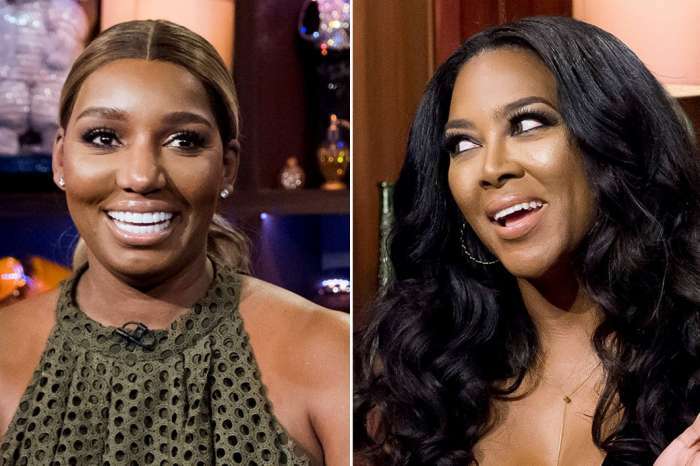 Given how they were all in attendance at the shower, the current cast of RHOA are clearly still friends with Moore and are not afraid to throw some support in her direction. Kenya Moore’s gorgeous shower was held at the Academy of Medicine in Atlanta and featured a fairytale theme. The former RHOA star shared a slew of photos from the event on social media and could not be happier about becoming a mother. She has not commented on her contract negotiations with Bravo. Catch NeNe Leakes on the Season 11 premiere of the Real Housewives of Atlanta Nov. 4 on Bravo. Someone already posted yesterday saying that Nene said she was being sarcastic and that Kenya was trying to bait her screen time. Now you going back to those same statements saying that Nene is supporting her when Nene just said on Twitter that Kenya wanted to use her.